No one thinks that getting a flu shot at a flu clinic or the doctors office will cause a serious injury. In fact, most of us think we are protecting our health. 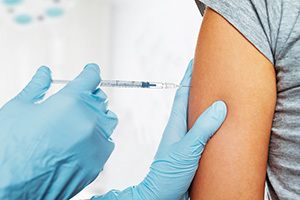 Unfortunately, sometimes poorly performed flu shots can cause a serious arm injury. Some patients report that they cannot move their arm after a flu shot. Investigative journalists have found that there are flu shots that are placed too high on the shoulder that can then cause severe nerve damage. In some cases, the nerve damage can be so severe that it requires corrective surgery. While the paralysis in the arm that received a flu shot is not always a given, more and more Americans are coming down with these injuries. In other cases where surgery is not necessary, injured patients are often placed on a regimen of powerful anti-pain medications. Doctors say that while the injuries are not very common, improperly trained medical professionals can cause the injuries if they misplace the flu shot. Patients are being encouraged to avoid getting shots at pharmacies. Doctors say that it is perfectly normal to be sore after a flu shot however, it is not normal to be incapacitated in the arm after a flu shot. Not everyone who provides a flu shot at a pharmacy and clinic has been trained in the latest techniques. The federal government provides a victim compensation fund for similar injuries. Recently, the definition of compensable injuries has been expanded to include injuries to the shoulder. In 1986, Congress passed the National Childhood Vaccine Injury Act to compensate families and individuals who were harmed by vaccines and special medical products. Under this law and the National Vaccine Injury Compensation Program, families who have been harmed by the flu vaccine may be entitled to a cash award. Contact the experienced Phoenix injury lawyers at Philips Law Group for assistance with a potential claim. Call or text 1-800-706-3000 or use the online contact form.